Electrical engineers and plasma cosmologists will tell you (possibly in bitter tones and impolite language) that magnetic reconnection is one of the stupidest theoretical ideas that astronomers ever derived from the mistaken belief that there are no electric currents in space. But astronomers today are taking pictures of something they call magnetic reconnection on the Sun, and space probes are measuring something else in the Earth's magnetosphere that has also been labeled magnetic reconnection. If you ask a plasma cosmologist about these, he'll tell you that the astronomers don't know what they're talking about. They're looking at well-understood plasma phenomena, exploding double layers and electric discharge, not magnetic reconnection. The only problem astronomers still need to solve is why so much more energy than they were expecting is produced by the process. Hannés Alfvén could help them here: In the mid-1960's, he was called by the Swedish Power Company to solve a similar problem on a more down-to-Earth scale. The company was using large rectifiers to convert electrical power from AC to DC for easier transport from the generators in the north to the cities in the south. But every once in a while the plasma in the rectifier would explode, causing considerable damage. The problem turned out to be exploding double layers, like those found in "magnetic reconnection" on the Sun. The explosions expended more energy than was contained by the plasma in the rectifier because the energy from the whole length of the circuit flowed back into the break. In Sweden, this was over 600 miles of electric wires. On the Sun -- well, we don't know yet how long those circuits are. The astronomers will no doubt solve the problem of too much energy released by magnetic reconnection, and the answer will no doubt depend on the dimensions of the "electron-depleted regions." But the question for historians is this: who will be remembered? Will this still be called magnetic reconnection (although it hardly resembles the original theory at all)? Will its discovery be credited to early 21st century astronomers? 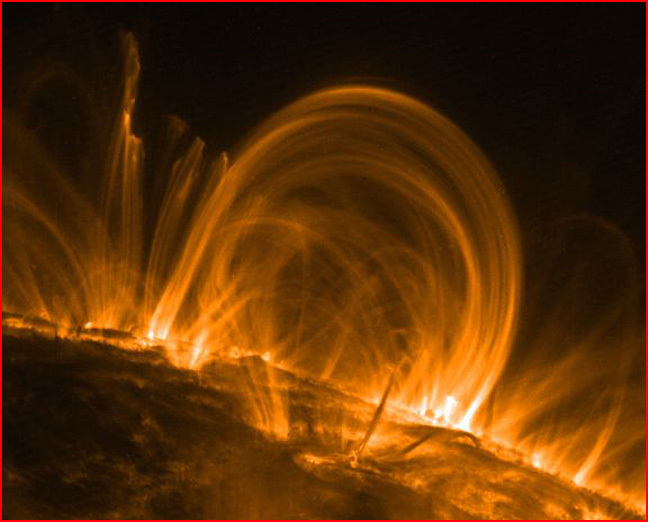 Or will history remember that plasma researchers like Jacobson and Carlqvist were explaining solar flares as exploded double layers 50 years ago?